Photo of: East Coast of Ireland: Louth: Drogheda. 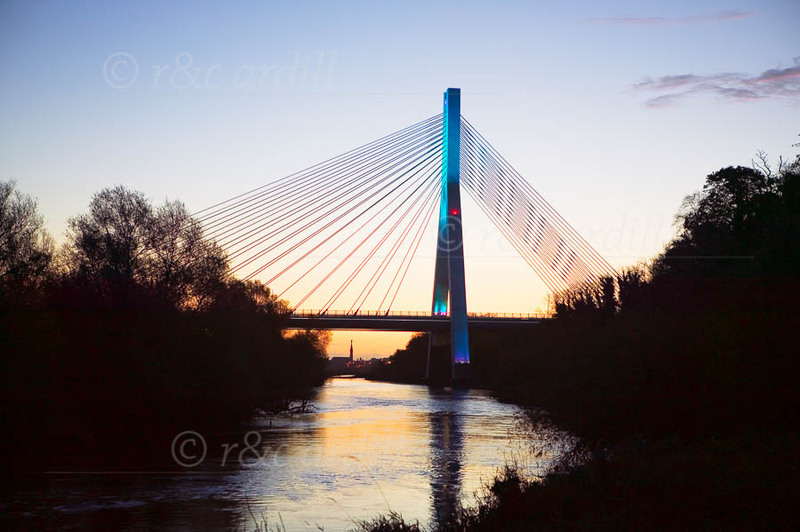 This is a photograph of the Boyne Cable Bridge. The bridge is illuminated by a bluish light that gives it an ethereal look. In the far distance, under the bridge, can be seen the spire of St Peter's Church in Drogheda. The photograph was taken at dawn, with a lovely yellow-pink hew to the eastern sky and river.